Srinagar: Authorities in Kashmir on Sunday imposed curfew-like restrictions in many parts of the valley to maintain law and order in view of the protests following the killing of Hizbul Mujahideen commander Sabzar Bhat in an encounter with security forces. Restrictions have been imposed in Khanyar, Nowhatta, Safakadal, MR Gunj, Rainawari, Kralkhud and Maisuma police station areas of the city till further orders as a precautionary measure in view of the prevailing law and order situation. However, the district administration has said that the admit cards of students appearing in competitive examinations today would be treated as curfew passes, while the staff posted as invigilators can use their identity cards as curfew passes. The district administration has also ordered closure of all colleges and higher secondary schools in Srinagar for Monday. 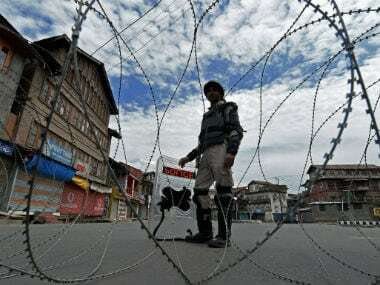 Restrictions have also been imposed in Anantnag, Pulwama and Shopian districts in south Kashmir and in the township of Sopore in north Kashmir, the officials said. 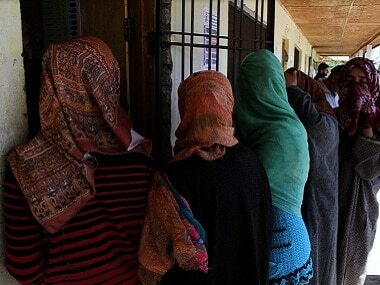 They said restrictions on movement of people under Section 144 of the CrPc have been imposed in the districts of Budgam and Ganderbal in central Kashmir to maintain law and order. 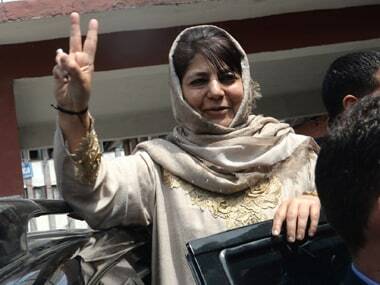 The officials said the curbs had to be imposed in these areas as a pre-emptive measure to prevent spread of violent protests which took place on Saturday following the killing of Bhat and another militant in the encounter in Tral area of south Kashmir’s Pulwama district. Elsewhere in the valley, normal life was hit due to strike called by separatist groups. 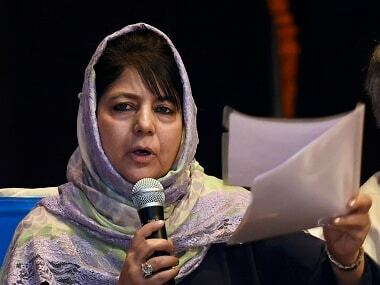 At least 30 people were injured in violent clashes between protestors and security forces in various parts of the valley following the killing of the two Hizbul Mujahideen militants. Bhat was buried this morning at a graveyard in Ratsuna area of Tral where hundreds of people had gathered. A civilian was also allegedly killed in cross firing between militants and security forces during the encounter on Saturday. 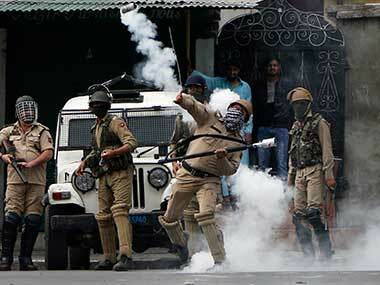 The separatists have called for a two-day shutdown to protest the killing of the two militants. The authorities have suspended mobile Internet services in the valley, while the outgoing call facility on prepaid numbers has also been snapped as a precautionary measure.